This entry explains quickly how I do screen capture for my Ouya articles so that I could show you certain key features and configurations that I have run across over the short while I have been playing with this unit. screen capture from the Ouya requires no special software beyond the android development kits which are easily downloadable. And in a few commands you’ll be capturing your favorate screenshots from your Ouya console in no time! Acquire the software for screen capture. Updated 8/23/15 : The original blog talked about downloading the android SDK which was well over 800mb in size in order to just get ADB functionality. Which is incredibly excessive to do a function as simple as capturing screenshots off of your Ouya or any other android game console that had ADB capability for that matter! So instead, I have created this download link which has the following items in it. 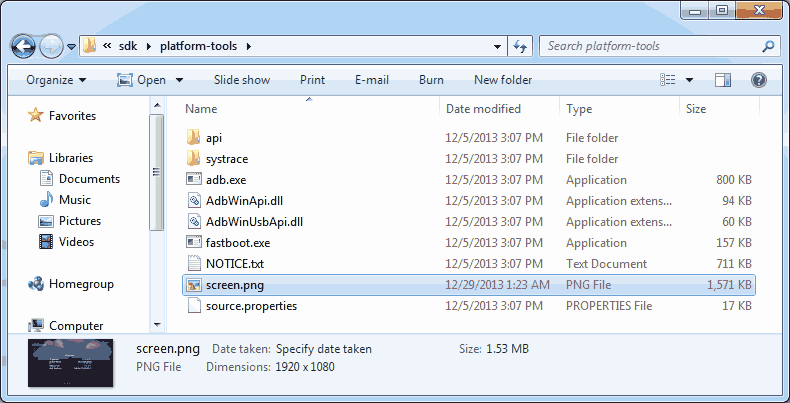 All files are compressed with 7-zip to ensure the fastest delivery. adb.exe for windows along with the two .DLL requirements in order for you to contact your Ouya wirelessly throughout your network or via USB cable if you so choose. 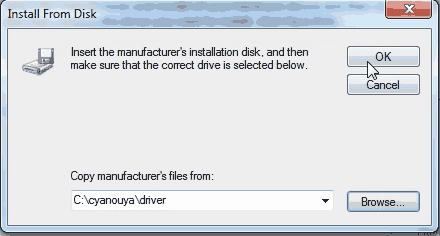 the /driver/ folder, This folder is only required if you hook your Ouya up via USB and the device manager of windows detects the unknown “Ouya” device on device USB\VID_2836&PID_0010. If you are connecting to your Ouya via network this folder will not be necessary. Unzip this to your C:\adb\ folder so it’s easy to access from command prompt. This file is only 17mb in size. Which is a massive reduction of hard-drive space over the Android SDK download. Once unpacked this will eat almost 1gb of hard-drive space. Upon installing the android software you will want to run the SDK Manager and install the platform tools option like what is listed above. This will give you the directory that stores the adb executable in. In this example. C:\android\platform-tools\adb.exe . 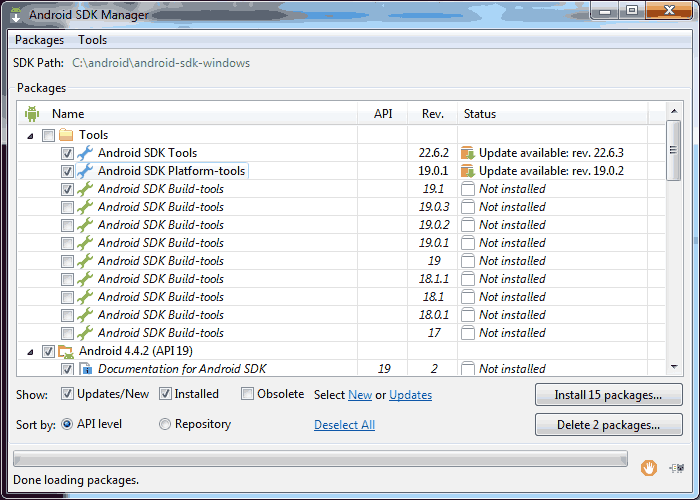 Keep in mind you may have to update multiple times in order to get access to the Android SDK Tool section. If you are running the Android SDK. 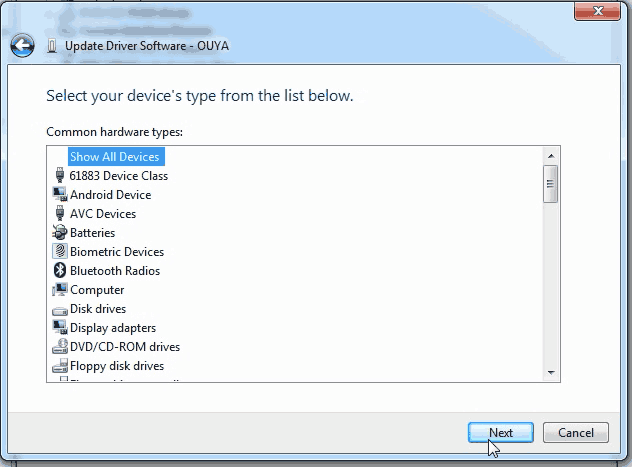 Run the ADB commands over the network for screen capture..
At first, you’re probably thinking that I am going to ask you to setup some complicated windows drivers to get the Ouya working with the help of this YouTube link. Truth is it has gotten a hell of a lot simpler with the network ADB connector which is in the updated versions of the Ouyas OS. On the test Ouya for both wireless and eithernet connectivity. 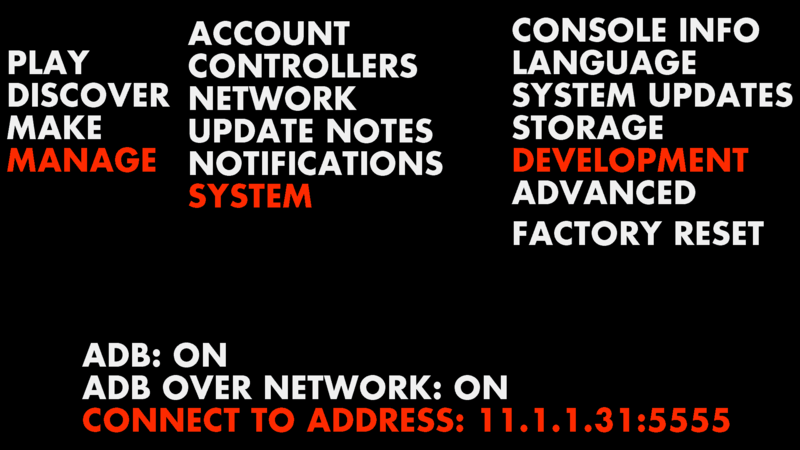 By going into Manager – Network from your main Ouya menu. You can see your real IP address. It will not offer a response if the screen capture command is successful. Now that the picture is in the ouya memory we want to pull it over to our main pc. 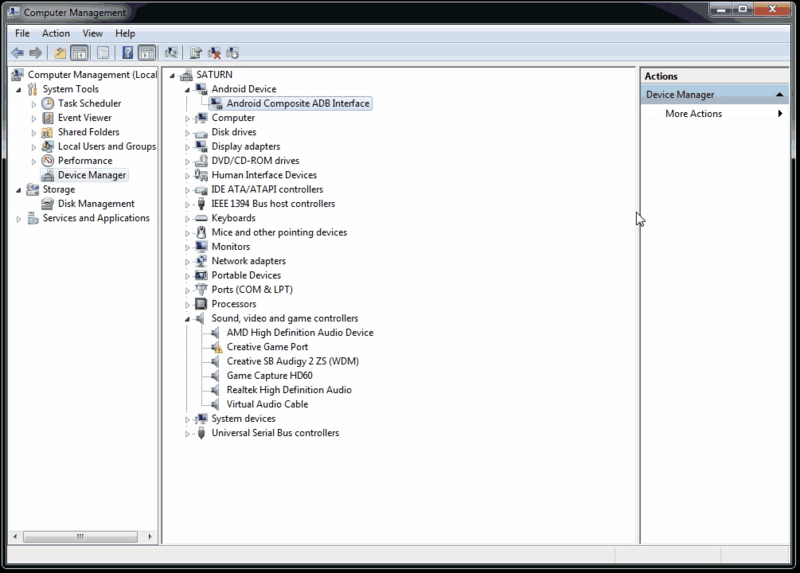 Alternate method – Using the USB cable for screen capture. For those who do not have their Ouya on a network or simply want a direct connection to their Ouya or who do not trust their network on having the ADB port open. Then we will provide the following instructions for you (screenshots are all windows 7 and may vary between OS’s). If this is your first time plugging your Ouya in via USB you should see something like my device manager where the Ouya is in the Other Devices catagory. That’s not going to work with ADB in the state it is in . 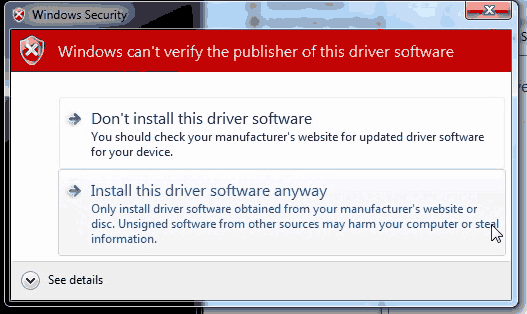 So we are going to update the driver. Note: I have received a few users stating that they do not receive the “OUYA” underneath other devices catagory but instead only have the Ouya MTP underneath the “Portable Devices” catagory. The MTP device is not what we want. If you are already logged into your Ouya do a factory reset as depending on what is going on with your Ouya the ADB function may or may not be disabled on it. Right-Click on the Ouya in Other Devices and click Update Driver Software to continue. Also, if you are running windows XP, 7, 10(32-bit-edition) and you do not see the word “Ouya” or something similar but instead see the words “Unknown Device” underneath other devices then your system has not properly detected your Ouya ADB port. The biggest cause of this problem is due to a bad or faulty USB data cable. Try a different data cable and try again. I can’t find the unknown device catagory on my windows 10 x64 bit edition box! Help! You are not going crazy if you do not see “Ouya” under “Unknown Devices”. We do however need to talk. 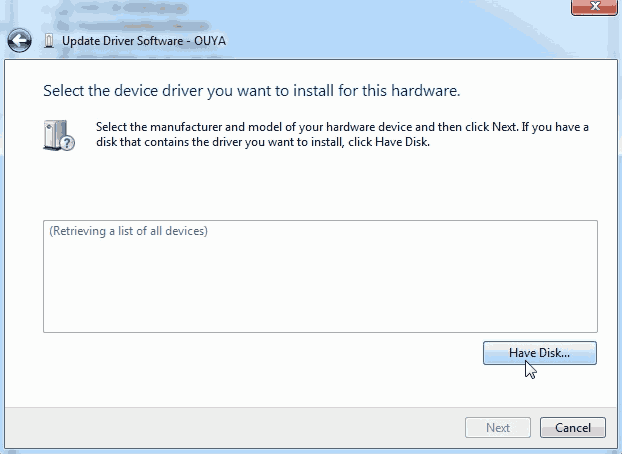 Click here to learn how to correct driver issues with ADB inside of windows 10 64-bit for the Ouya. Do not worry, this will open another tab so you can pick up right from this section the moment your driver is straightened out. We are not going to let the OS choose the driver we want to use. We are going to pick it ourselves. 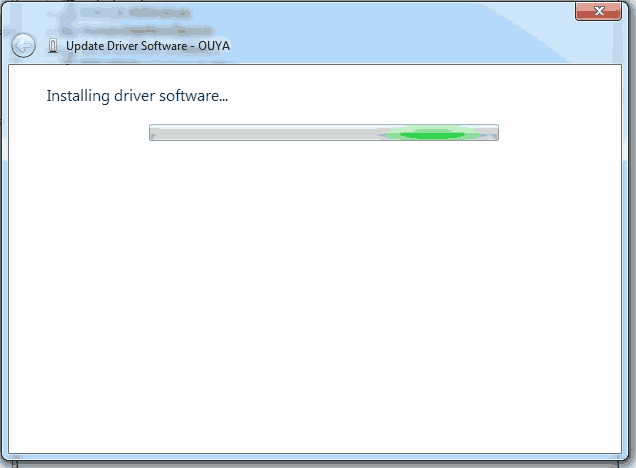 Click “Let me pick from a list of drive drivers on my computer” and click next to continue. Click on “Show All Devices” and click Next to continue. We are going to browse where our ADB drivers are. Since I extracted my adbouya.zip file right to the root of C:\ I can simply type in C:\adb\driver . If you placed your drivers elsewhere or you are using the Android SDK instead of the ADB binary included in the zip file. You will then have to click the Browse button to find where your ADB drivers are at. 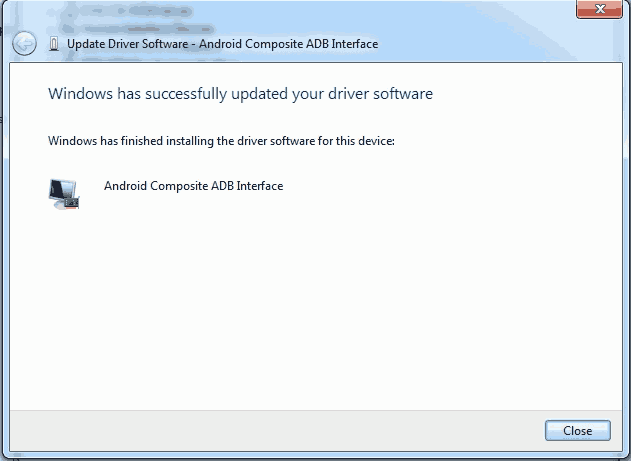 Windows should have already determined that the best driver is “Android Composite ADB Interface” if not or if this is blank, uncheck the “Show compatible hardware” box and select your Android Composite ADB Interface from there. Click Next to proceed with driver installation. It should begin installing the driver. This may take around 10-30 seconds on your first time installing it. If everything went well then you will get a message like the window above. If for some reason there is an error code. Then there is something wrong with your Ouyas connection. Click close to continue. 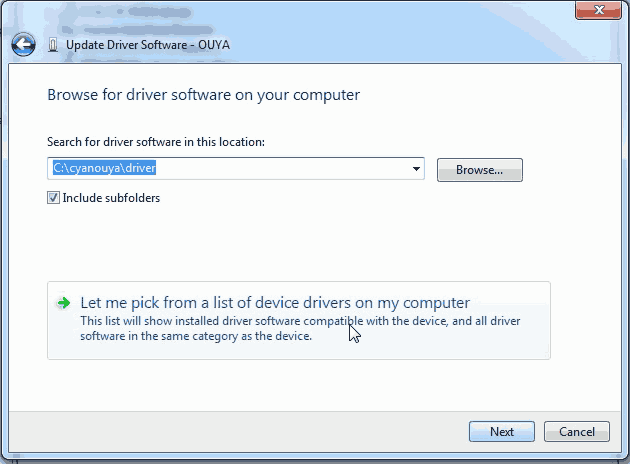 Your Other Device and your Ouya will disappear from device manager. 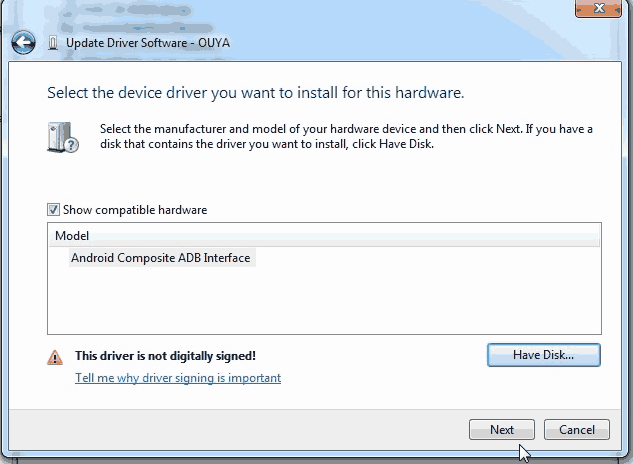 You should now have a new catagory called “Android Device” and the device known as “Android Composite ADB Interface” . 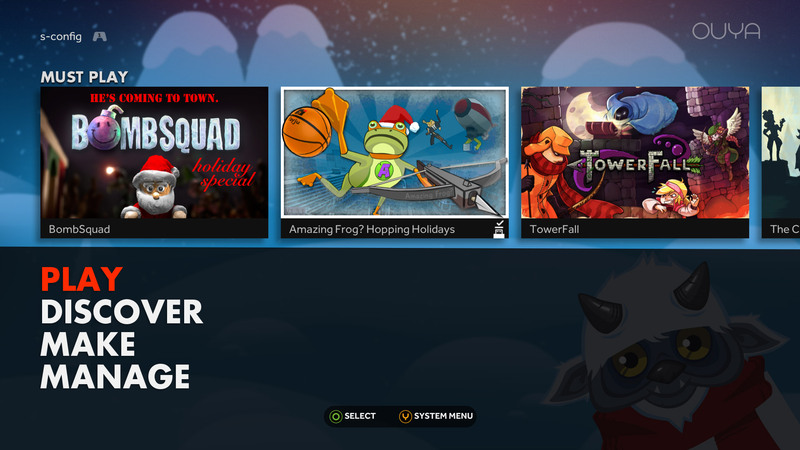 Your PC will now understand what your Ouya is whenever you connect it to your PC. 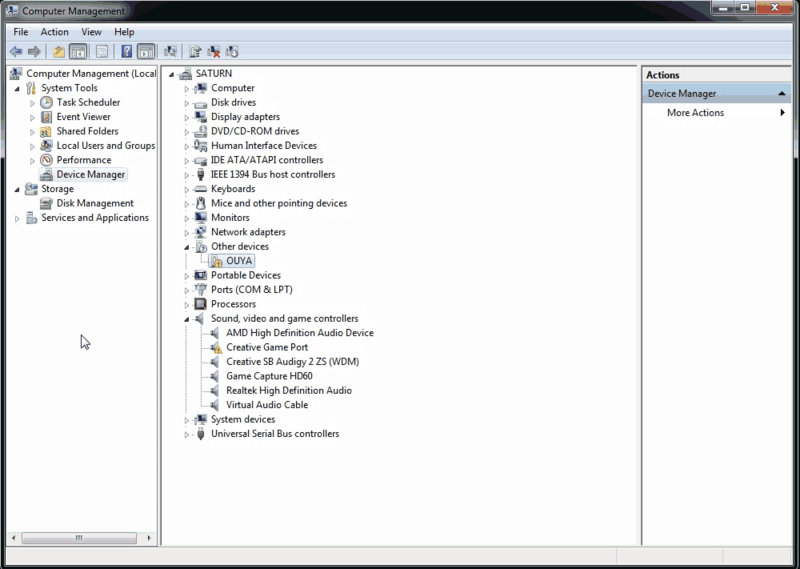 From This point you can now close out of device manager. Say that your username in “Penguin” for logging into windows. This will make the folder C:\users\penguin\.android\ and inside of that folder it will make a very small text file called adb_usb.ini . The reason why we must create this file in a very particular area is without it the adb.exe file has no idea what vendor to look for in device manager and it will come up blank in the next few steps. We can continue going to the command prompt by clicking “Start” and “Run” and typing in “cmd” to pull up a command prompt. Once you are there you will want to do the following. If it does connect then you may happily start passing those ADB screen capture commands. You can now go off and make your own crazy article reviews!